The celebrated author of compulsive, daring and enduring fiction, Sir Salman Rushdie, on his life in writing and his latest novel, The Golden House. In his first appearance at Southbank Centre in over a decade, Rushdie reflects on the full range of his writing, his remarkable life, the currents and characters in American politics that inspired his latest novel and the value of dark comedy in tumultuous times. Rushdie established his reputation with award-winning novels Midnight’s Children, The Satanic Verses and Shame. Combining biting satire with bold inventiveness, Rushdie has chronicled the postcolonial world in fiction. The Golden House, his 13th novel, is a satirical and incisive anatomy of contemporary American politics. A prescient reimagining of Trump’s America, the novel is bookended by the election of Barack Obama and the eve of an election eight years on in which the front-runner is known as ‘The Joker’. The focus of the novel is Nero Golden, a man of enormous wealth with a Russian wife who arrives in Greenwich Village with his three adult sons. The novel charts Nero’s infidelities, family arguments and even his criminal activities, capturing the pressing debates of the present, from post-truth politics to gender identity. His other novels include Haroun and the Sea of Stories, The Ground Beneath Her Feet, Shalimar the Clown, The Enchantress of Florence and Two Years, Eight Months and Twenty-Eight Nights, a reimagining of the Arabian Nights set in the future. Rushdie has received many awards for his writing, including the European Union’s Aristeion Prize for Literature. He is a Fellow of the Royal Society of Literature and Commandeur de l’Ordre des Arts et des Lettres. In 1993 Midnight’s Children was judged to be the ‘Booker of Bookers’, the best novel to have won the Booker Prize in its first 25 years. In June 2007 he received a knighthood in the Queen’s Birthday Honours. 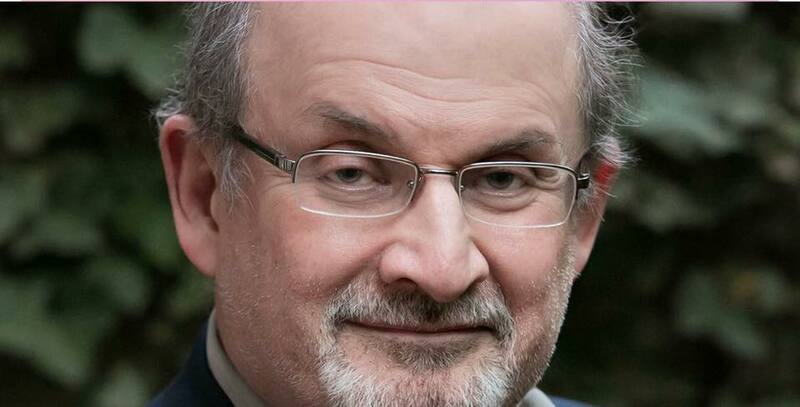 A longstanding champion of free speech, Rushdie is former president of PEN American Center. Salman Rushdie is in conversation with Erica Wagner. Born in New York City, Wagner’s most recent book is Chief Engineer: Washington Roebling, the Man Who Built the Brooklyn Bridge. She is the author of Gravity: Stories, Ariel’s Gift: Ted Hughes, Sylvia Plath and the Story of Birthday Letters and Seizure; she is the editor of First Light: A Celebration of Alan Garner. Twice a judge of the Man Booker Prize, she was literary editor of The Times for 17 years and is now contributing literary editor for Harper’s Bazaar and a contributing writer for the New Statesman. She was the recipient of the Eccles British Library Writer’s Award in 2014, and she is a lecturer in creative writing at Goldsmiths, University of London. She lives in London. Is there an event you would like to attend? Contact us, we will try our best to help!